I really enjoy reading debut authors. There is something special in finding a new author that shows promise by penning a book that engages you from the beginning, but also holds enough quality to show that as the author grows the level of his writing will increase and he may end up as one of the top writers in a genre. 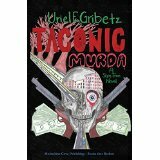 I picked up Taconic Murda by Uriel E. Gribetz and I believe I just read one of those authors. The book was one that shows Gribetz has a major career ahead of him.There are many aspects of the book that put Gribetz on the “Must Watch” list that I love to add new authors to. I picked this book up due to the blurb by Jason Starr and I was not disappointed. As with many debut authors, Gribetz shows he has a strong foundation in which to build a successful writing career, but he also shows areas that could be improved upon to make for a more tightly plotted book. The plot of this book was enjoyable. 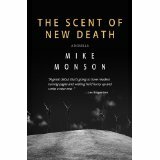 The book centers on Sam Free, a cop in New York who gets into trouble when he refuses to compromise himself in order to get a conviction for the local DA. His refusal, coupled with some bad choices of his own doing, set the plot in motion. The story follows Free and his family as they try to move forward, but seem to be pulled back into the past no matter how hard they struggle to escape its clutches. My biggest issue with the book is the reliance on coincidences to connect plot points and to move the plot along. Personally, I don’t like it when there seems to be areas of a plot that are connected and explained only through the use of continued coincidences and I felt this happened a tad bit too often in this book. Overall, it was a good, engaging read and I will certainly look to read other books by this author. Gribetz shows a lot of promise. I liked his dialogue and I felt his main character was believable and exhibited actions that were understandable and relatable. Quality start for a new author! If you are not reading Dave Zeltserman you are not reading the right books. 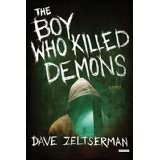 This year brought us Zeltserman’s The Boy Who Killed Demons and it was quite a great read. I have always loved Dave Zeltserman’s novels, including his crime novels, horror infused novels, and short stories. His latest offering, The Boy Who Killed Demons further cements his status as an author who continuously puts out books that are better than the books that precede them. I have said on many occasions and stand by my contention that Zeltserman could rewrite the phonebook and it would come out exciting and enjoyable read. Yes, he is that talented. This offering from Zeltserman centers on 13-year-old Henry Dudlow and his ability (or curse) of seeing demons in the world around him. Through his meticulous research using a 17th century text, he discovers that demons are tied to a series of crimes against children that are taking place. In a race against the clock, Dudlow must fight against a demon within his town without letting on that he knows he is a demon and at the same time pacify his parents so he is able to continue his quest to stop the terrifying outcome that awaits mankind if the demons are able to complete their plans. 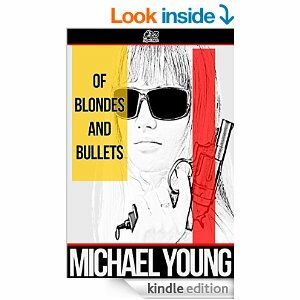 While the book has a plot that centers on a 13-year-old, the plot is tight and due to some rough language (in my opinion) a book geared for adults to sink their teeth into. I zipped through the book in two days and the only reason it wasn’t one day is because I had to go to work. Zeltserman is one of the clearest examples of how great authors don’t seem to be getting the mainstream audience they deserve. The masses can keep their James Patterson’ novels, I will take Zeltserman and his lean writing style. If there is justice in the world of publishing and reading, Zeltserman’s big break is right around the corner and he will attract all the readers his books rightfully deserve. This book would make a great summer blockbuster movie for adults, teens and tweens. Here’s hoping it happens for him. 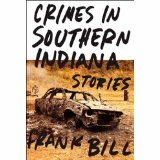 Just finished Crimes in Southern Indiana by Frank Bill and am so sorry that the ride is over! Crimes in Southern Indiana blew me away! 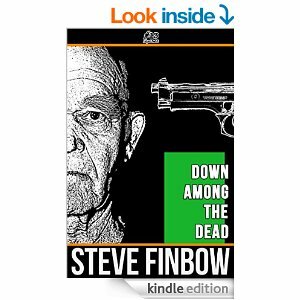 The stories contained within the pages of this book brought me into a world that while I knew it existed, I had never had a face to put to it and certainly never understood the motives and lives of those caught in the downward spiral of this world. Frank Bill changed that will this rocket fueled infused collection of stories. This collection sets the bar for short stories at a level I don’t think anyone will ever be able to reach. The stories are intertwined with characters and motivations that are like ripples in a pond. The characters you meet in one story are revisited in stories later in the collection and you are allowed an insight into their world and you understand how their actions in the previous tales were dictated by the wildness their lives contain. You also get to witness how the ripples created in one story set off a chain reaction of mayhem for other characters and how these new ripples often have serious consequences for the original characters. Time and time again I found myself speechless when reading about the callous manner in which lives were destroyed or forever altered by actions induced by the hopelessness of the lives being led by the characters created by Frank Bill. Very hard to pick a story that was head above the others, as they were all outstanding and in some ways the stories read like a novel spliced together by a madman or a genius (not sure which one Frank is). I am very pleased to report that I will be getting my mitts on Donnybrook and reading it post haste. This is the type of book that will change your way of thinking about how the other half lives. 4 stars plus 2 thumbs up doesn’t seem to be enough praise for this fine bit of writing. 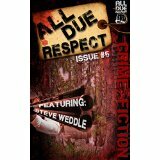 Grab a copy and enjoy!